Andrew Baxter is Chairman of Publicis Communications Australia and New Zealand, one of the largest communication agency groups in the country. He is also CEO of Publicis Australasia, with businesses specialising in advertising, digital, PR, CRM, loyalty, activation, mobile communications, brand strategy, design and media. Andrew is also a member of the Publicis Worldwide Global Management Board. Prior to taking charge of Publicis Worldwide Australia, Andrew was CEO of Ogilvy Australia for three years. He led the group through its most successful period that saw the creation of some of Australia’s most visible brand communications campaigns including Rhonda & Ketut for AAMI and Share a Coke for Coca-Cola. 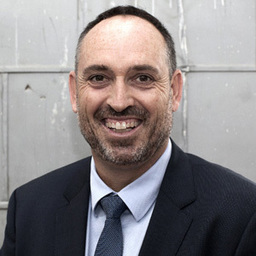 In his career, Andrew has worked with many of Australia’s largest companies and brands, including MYER, Wesfarmers, BMW, Australia Post, CUB, AAMI, KFC, Qantas, Kimberly Clark, Puma, Colgate-Palmolive, News Limited, OPSM, Lion Nathan, BP, Nintendo, Nestle, Cadbury, Kraft, Treasury Wine Estates, Garnier, Shell, Toll, Sanofi, Citibank, H&R Block, Jim Beam, Converse & Westpac, as well as the NSW, Victorian, Queensland, Northern Territory and the New Zealand and Australian Federal Governments. Andrew is also a keen writer on the big issues that are shaping the marketing communications industry and he is a regular business columnist for News Limited’s publication The Deal, which is incorporated within The Australian. Enjoy a wonderful story of this celebrated Old Haileyburian.